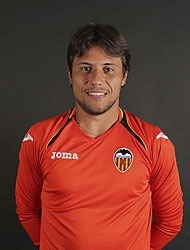 Diego Alves has extended his contract with Valencia CF and the new deal should have him stay in the club till 2018. This means that Vicente Guaita is going to leave 100% since the player himself wants to leave and Valencia CF plans to offload him in order to save money on his salary and bring in a cheaper goalkeeper that is going to be Diego Alves back-up. In the process of extending the contract is Juan Bernat, while Seydou Keita has already received a new contract for one year and should be officially done after the end of the season.